Style and simplicity are synonymous with the Koro Max Prime and its ease of use is down to the simple display and conveniently situated touch sensitive selection panel. 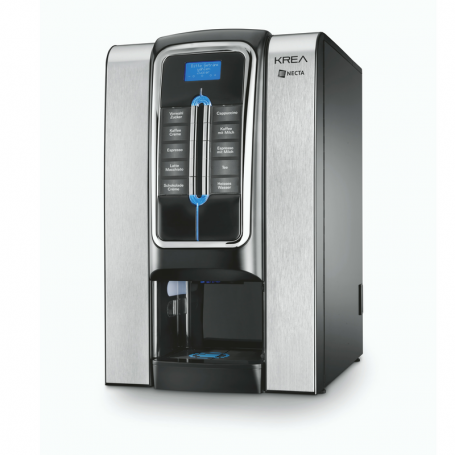 The wide drinks menu allows up to 8 different drink selections, and thanks to the patented coffee brewer, the volumetric doser and the perfect extraction the Koro Max Prime offers the perfect drink every time. Thanks to its characteristics this machine is ideal for locations such as offices, meeting rooms, shops, small cafes and its exquisite design would enhance any environment. Espresso, Cafe Latte, Coffee Black, Cafe Mocha, Coffee White, Hot Chocolate, Cappuccino, Hot Water. The Krea is the ideal solution for hotels, reception areas or any location where high quality coffee, reliability and modern design are essential. 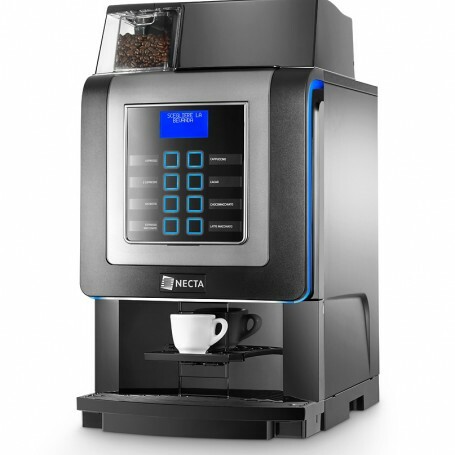 Benefiting from Necta's latest espresso brewing and patented free mix technology, guarantees the Krea delivers the best quality drinks with every use. The modern and elegant design is highlighted by the LED lights, chromium plated drink selection buttons and striking side panels. In addition, the perfectly balanced coffee hopper and waste container capacities guarantee the highest level of operational efficiency. With the power of three thermoblocks und three pumps, the machine prepares the full range of speciality coffees at the touch of a button. In professional catering, speed matters – and multiple heating and fluid systems deliver higher hot water output, up to 30 litres an hour. A large water tank and coffee grounds container allow for flexible and mobile use of the GIGA X9 Professional. GIGA customers can now enjoy an exclusive, new service concept that is fully in line with JURA’s high quality standard. 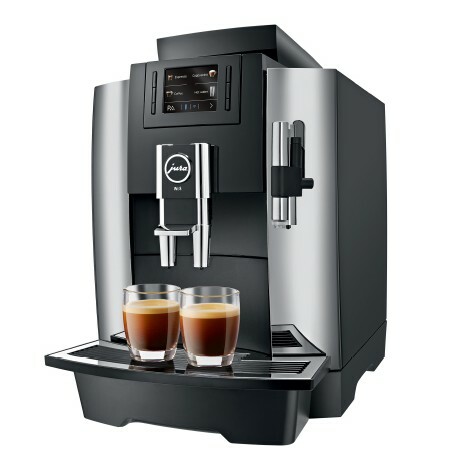 The ‘comprehensive service package' guarantees the performance of the professional coffee machines and offers value protection for 25 months or 45,000 drink preparations. Guaranteed professional quality, barista-style coffee. Wherever customers, staff and visitors can enjoy superlative coffee, the atmosphere is relaxed, communicative and productive. Anyone who appreciates the finer things in life, a wide choice of speciality coffees and aesthetics will love the WE8. A water tank with a 3ltr holding capacity, a bean container for 500g of coffee beans and a coffee grounds container with a capacity of 25 portions make the elegant professional coffee machine the ideal solution for locations where around 30 speciality coffees are consumed per day.